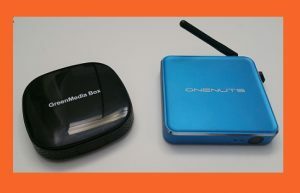 On this box runs the GreenmediaHD App. 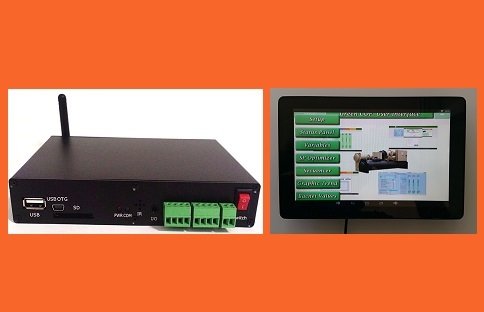 This encoder transforms live video sources into full-screen, full resolution, IP Video streams that can be multicast, unicast, or HTTP. Support multiple equipment displays at the same time on a computer. 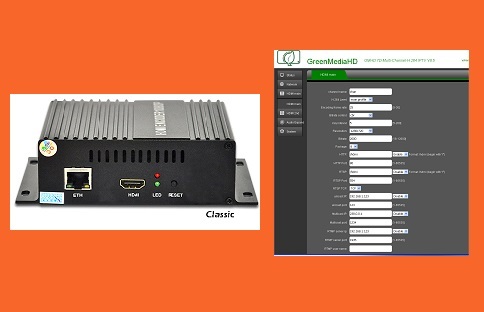 The encoder has a flexible H.264 encoding for multiple resolutions up to 1920x1080 and dual bitrate mode for different displays that allows you to have one high-quality stream for LAN and one for WAN or Internet endpoints. It provides the protocols RTSP for direct customers, HTTP/UDP for PC and MAC, and RTMP to feed OTT media servers. This device is used for Control and Optimization of Air Conditioner Systems. It is connected to the Chiller Control Panel using BACnet IP or Modbus TCP protocol and also has an embedded BACnet Server to be integrated to existing EMS. The optimizer makes an optimum adjustment of the cooling water temperature setpoint of the chiller plant depending on changes in ambient conditions. The control algorithm has artificial intelligence functions that make the system learn over time and place the most appropriate variation curve according to variations in environmental conditions closely related to the seasons of the year, occupational grade, and variations during the hours of the day and weather conditions. 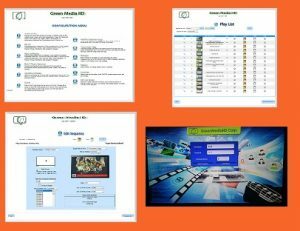 The Cloud Server of GreenmediaHD hosts the program for designing the Playlist solutions, so all the configuration of your Playlist are saved in the Cloud Database and you can check, modify and create your Playlist design anywhere you are. The GreenmediaHD App runs in the Android System 4.2 and above, it is updated periodically in GreenmediaHD Web Site. 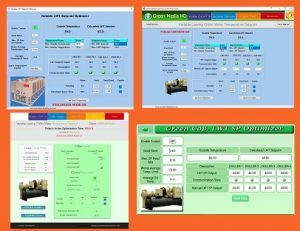 For the Chiller Plant Optimization Solutions and Integration into Playlist Content (GCOP), GreenmediaHD supplies software for Optimizer Controller Setup (GCOP_Setup) and PC user interface (GCOP). All the information in the Optimizer Controller is periodically uploaded to the Cloud Server, which hosts a program that allows the user to check the information anywhere in the world. The information is presented in form of graphic trends, table of values, comparative graphics and more. In the Optimizer Controller runs the GCOP_Optimizer App, which has a very friendly touch screen user interface and allows a local monitoring of the chiller plant.